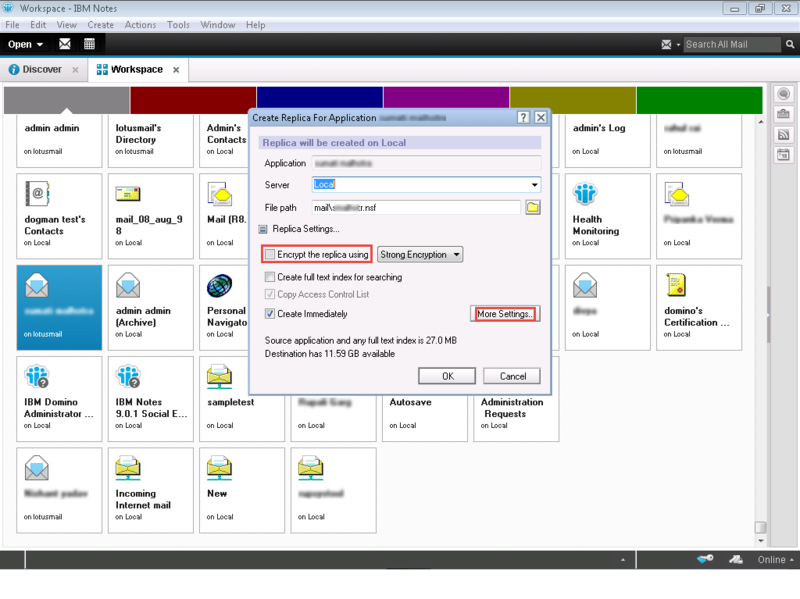 Create Local Replicas in Lotus Notes? 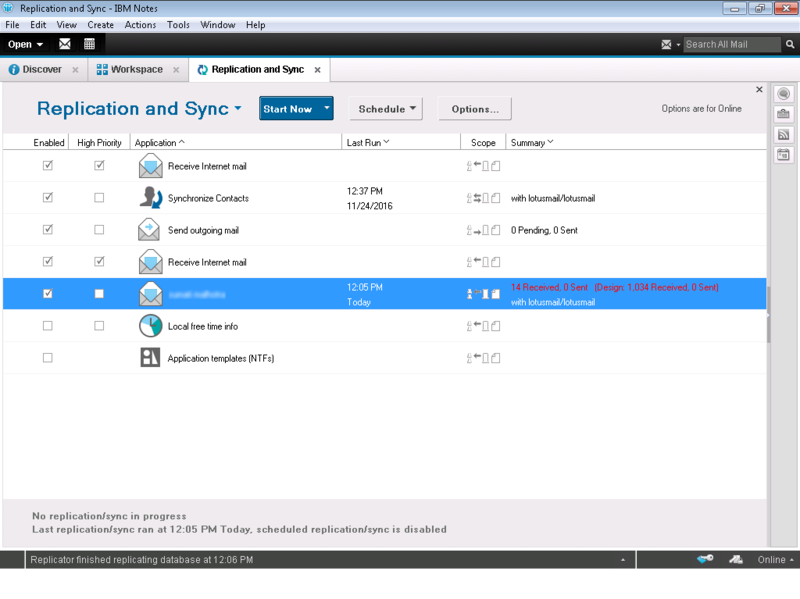 Local Mail Database Replication helps a user to create local replicas of his database mail file on to his workstation so that he can access his emails without any internet connection or in offline mode. 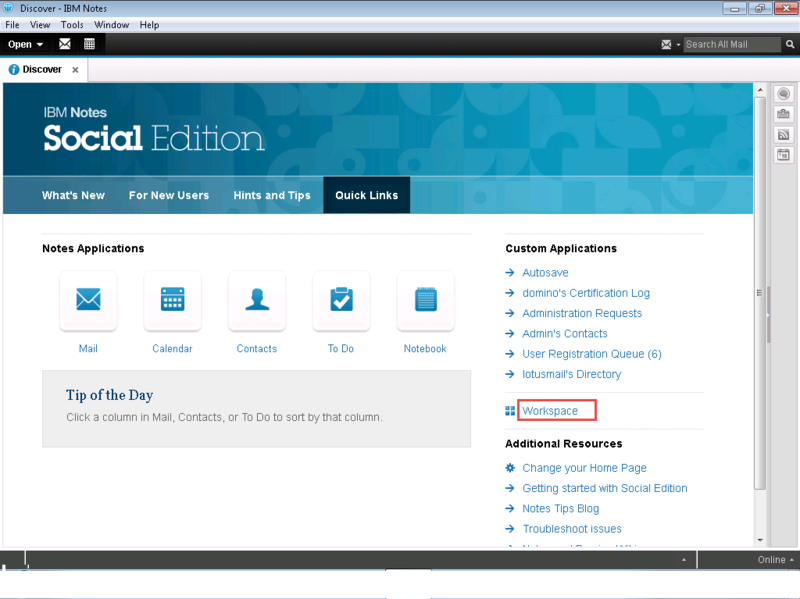 After a period of an interval, a user can connect his emails to the server and update it there. It allows a user to work offline as well as online. 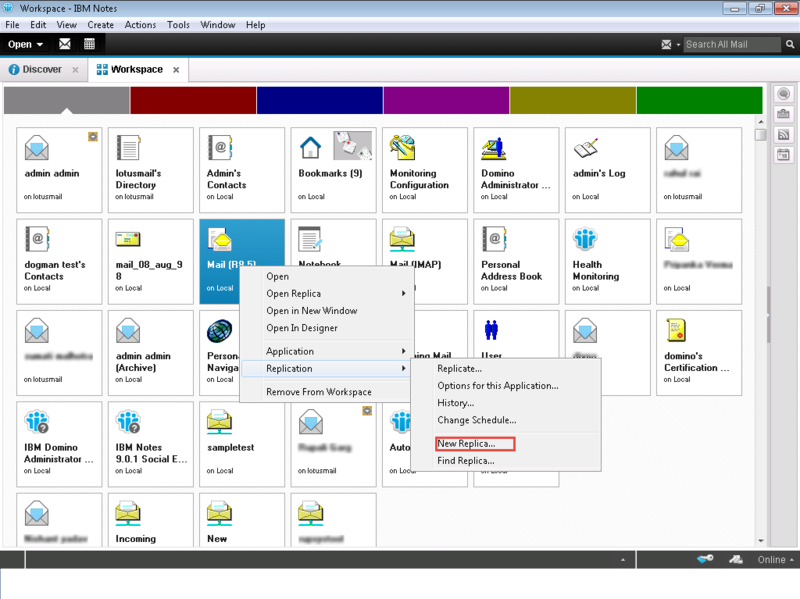 Open IBM Notes and click on Workspace from the right side. First right click on Mail database and then click on Replication and then open New Replica. 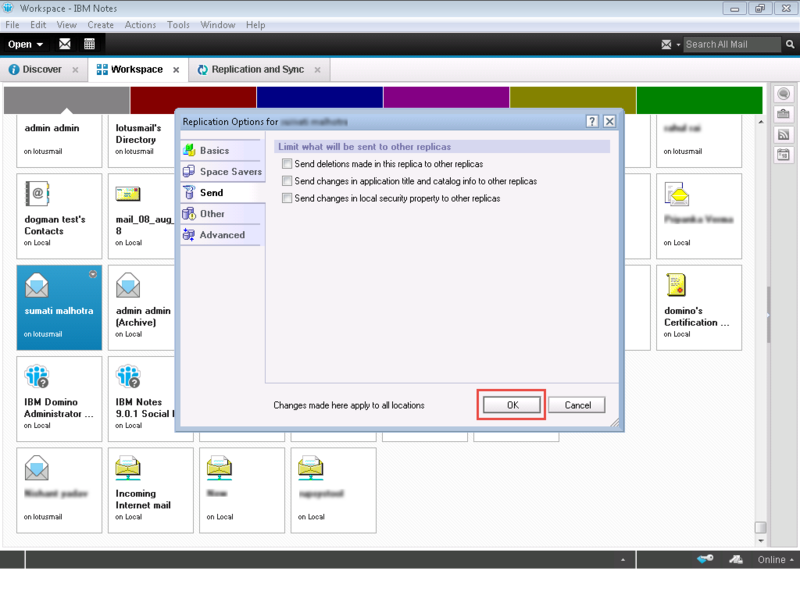 Note: Check View menu and see if the Advance menus are selected or not. Now you can change the file path from here. Users need to deselect the Encrypt option and select More Settings. 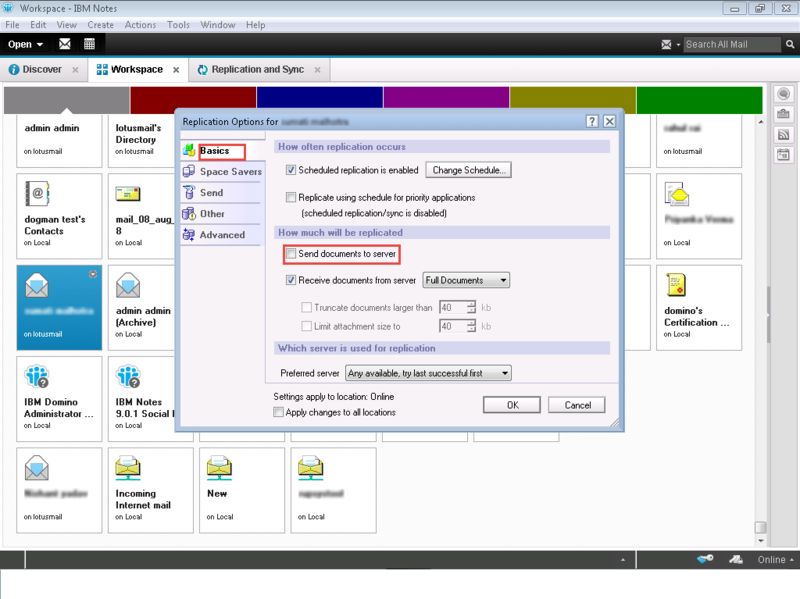 After going to More Settings option, deselect the Send Documents to Server option and select the server used for replication in Basics tab. Go to Send tab, and deselect all the options and click OK to save all settings. Now you can see that replication is done as shown below.